New Orleans is, of course, a city known for its food, home to some of the best chefs in the country. I was in town recently, so I figured I’d check out some of the local establishments and give you guys a virtual sight-tasting tour. Let’s start with the hotel vending machine. Hey, I hadn’t eaten all day and I had a couple of hours to kill till my family showed up. This looked like it’d fill a hole. 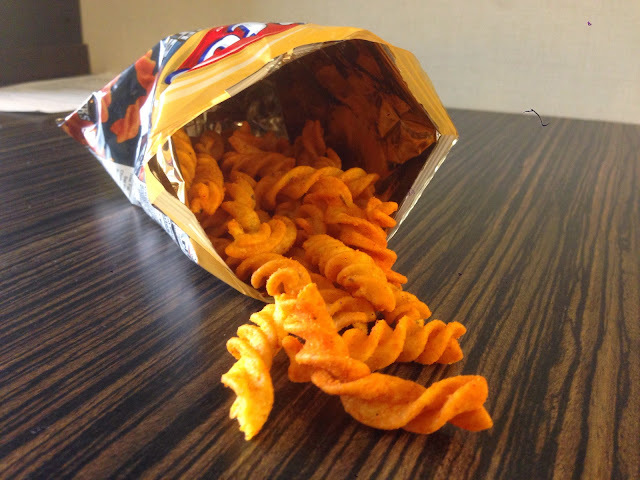 Besides, I hadn’t tried these before, and they reminded me of those little cinnamon twists you get at Taco Bell. This was a pretty fresh-tasting bag. It wasn’t really as sweet as I was expecting for Honey BBQ, but tasted all right. Tasted a lot like regular Doritos, as a matter of fact, with a slight BBQ flavor. 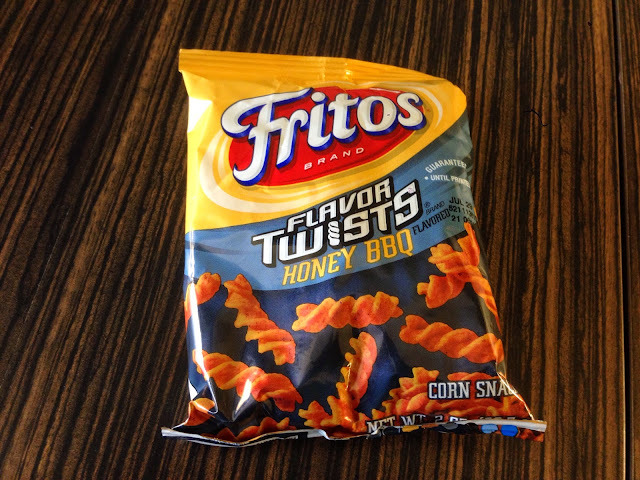 The twists weren’t as delicate as the Taco Bell variety, but much more so than Fritos corn chips. 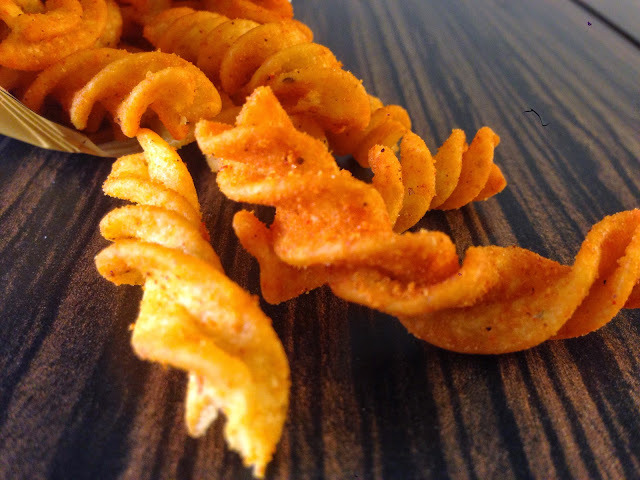 Did I mention these tasted like Doritos? Cause that’s pretty much exactly what they tasted like. 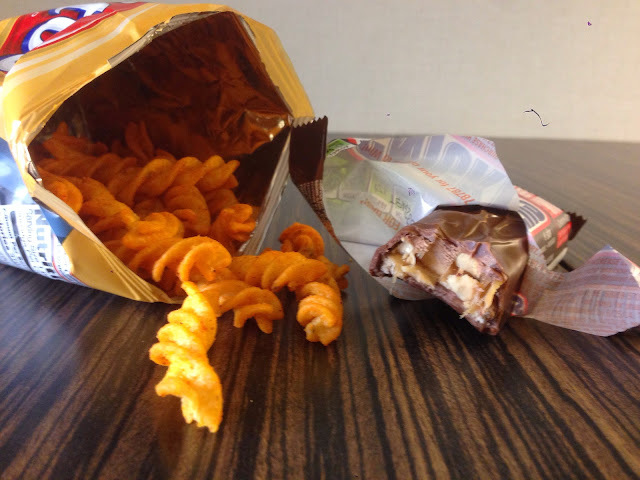 It also pairs well with chocolate, if you’re really hungry. I assume it’d go nicely with a Sprite, but I wasn’t about to pay two bucks for a soft drink. When did vending machines get so expensive?